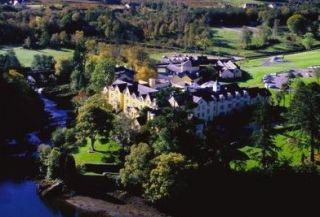 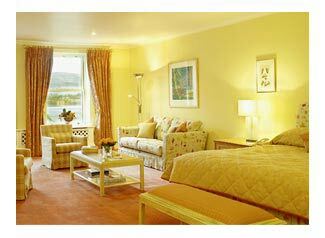 Sheen Falls Lodge is situated on a three hundred acre wooded estate overlooking Kenmare Bay and the Sheen River . 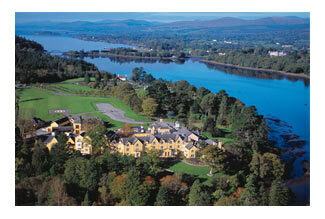 This lavishly restored country lodge, dating back to 1795, is a favorite of golfers and non-golfers alike. 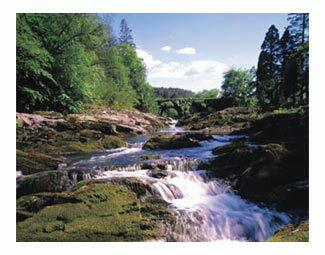 Activities at Sheen Falls Lodge include salmon fishing, horseback riding, tennis, billiards and target shooting. 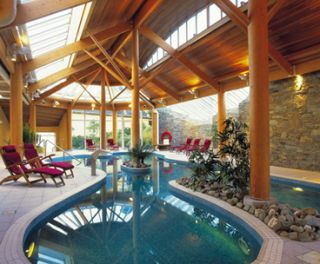 A full service health spa with indoor pool, gym and sauna is also on-site. 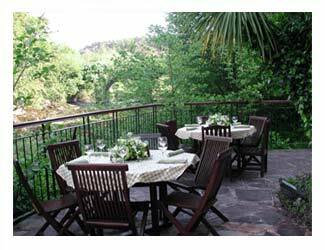 La Cascade Restaurant, which overlooks the Sheen Waterfalls, is highly regarded for its superb cuisine. 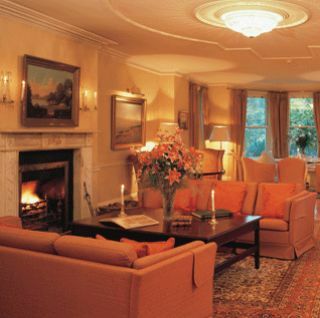 A second restaurant, Oscar’s Bistro, is an equally fine dining option.